Following the current market trend of procuring a premium brand at a reasonable price tag the German marquee Audi, has launched Audi A6 2.0 TDI. The company has taken into consideration the demand for a fuel friendly car from its stable, due to increasing fuel costs. As a result the new avatar of the sedan Audi A6 2.0 TDI will possess a very good fuel economy with the assistance of diesel engine that’s smaller in capacity. According to Audi; the premium brand in Volkswagen Group, this sedan will prove to be the most resourceful business luxury car in India. The vehicle will now be termed as the entry level product, which is priced sensibly at Rs 37.7 Lakhs (Ex Showroom Delhi) and will be made available from 11th October across the Audi dealerships in the nation. Engineers at Audi have done their homework very well and toiled hard to trim down the weight of the sedan. The reduction in weight was made possible by the maximum usage of aluminum metal in the vehicle’s construction and this was made possible with Audi’s latest technology of light weight hybrid body shell. The direct effect of lighter body is its improved fuel economy. The 2.0L TDI marks an impressive mileage of about 18.9 kmpl, making this sedan the most fuel economical in its premium segment. 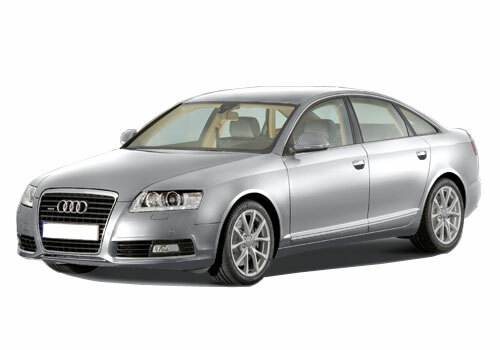 The Audi A6 will take on its German rivals such as upcoming Mercedes Benz E220 CDI and previously on roads BMW 520d. The 2.0 litre diesel engine churns out a peak power of 177 bhp and 380 Nm of peak torque. The safety features are as usual given a top priority in the making. This product of Audi will surely appeal the consumers those who desire of buying one but the fuel efficiency and price tag emerges as a barrier for them. Audi comes in the best luxury car maker. Audi has the great opportunity to show Ability in India.